The TB Data, Impact Assessment and Communications Hub (TB DIAH) Project is committed to measuring and sharing evidence-based work that is making a difference in fighting the TB epidemic. As the project advances, you’ll find news, commentary, videos, podcasts, successes from the project and from other stakeholders, and infographics that bring to life the worldwide efforts and gains made against TB. These pages highlight news about TB programs in priority countries and innovations or changes to global approaches—based on new data or new interpretations of data. TB DIAH curates stories from the front lines, as told by people who have been helped by effective, evidence-informed approaches to combat TB and know first-hand the benefits of better data to help end TB. TB DIAH blogs feature stories from the front lines of data analysis, up-close and personal accounts of work to improve data, and perspectives on how data use is an effective tool to end TB. Videos from TB DIAH bring to life the fight to end TB and tell of the work to improve the quality and use of TB data. 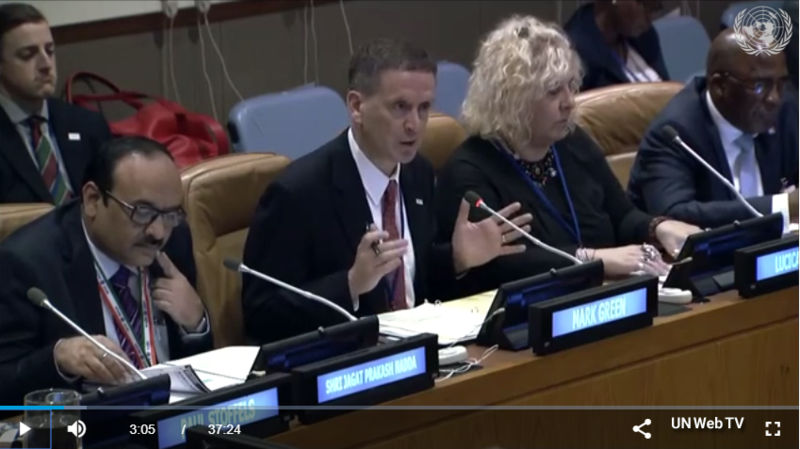 To urgently translate commitments into action, USAID Administrator Green spoke at the UN meeting. See his remarks at 2:04. He also hosted a side-event entitled, “USAID’s Global Accelerator to End TB,” and discussed the goal to enroll 40 million patients on TB treatment by 2022. TB DIAH compiles strong data visuals to aid understanding of where we are in the fight against TB.